A little later than anticipated but here is my round up of my April goals and how I did! Also, goal setting for May too! 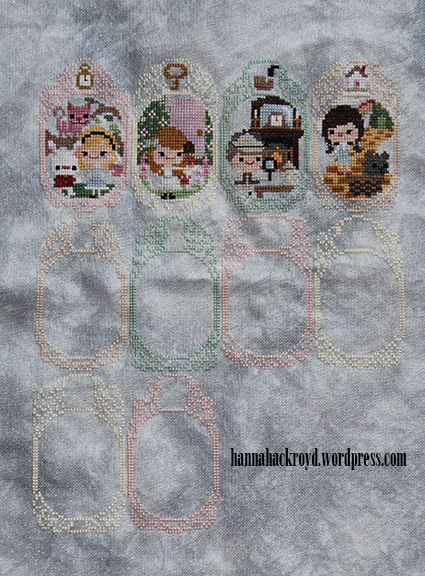 Once Upon a Time Sampler – No progress on this one sadly! 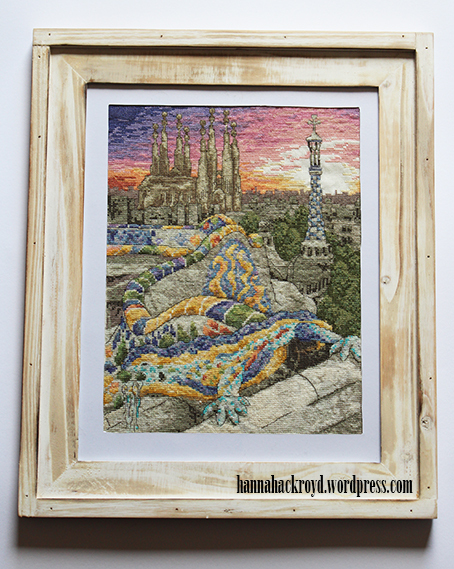 I didn’t manage to get those last two frames in because I was spending all of my time working on my Barcelona Sunset as that is my priority right now. I am staying with my parents this weekend though so I am packing my sampler with me since I obviously can’t work on my Mum’s present! I have saved this month’s design to stitch while I am here but if I get that done before the end of the weekend I might have time to add a frame too. Hello! 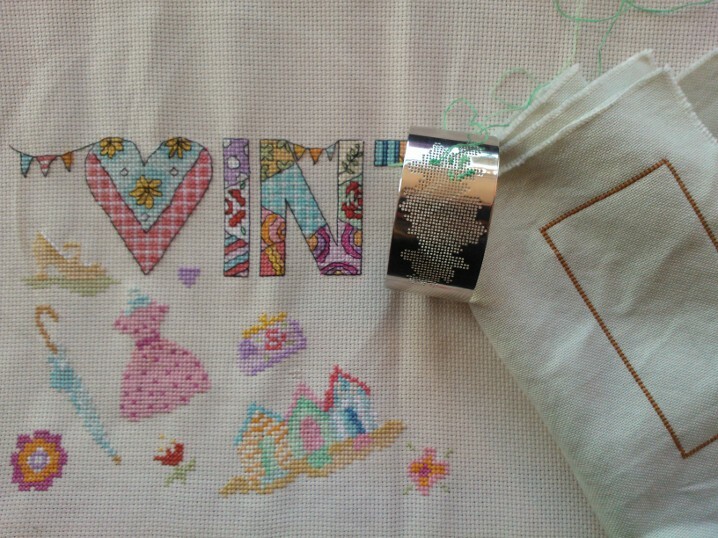 One of the reasons for my recent break in blogging is because I have been spending so much time crafting! Last year I found it had got to the point that I was spending a lot of time writing about what I wanted to make, but not a lot of time actually making things! So I promise that I did put my time off to good use! I have a tonne of projects that I want to share with you! But for now I will just focus on my cross stitch projects, as that is what most of my time has been dedicated to recently. Before I show you the projects that I have got planned for this year, I just wanted to show you what stitching I did towards the end of 2014. 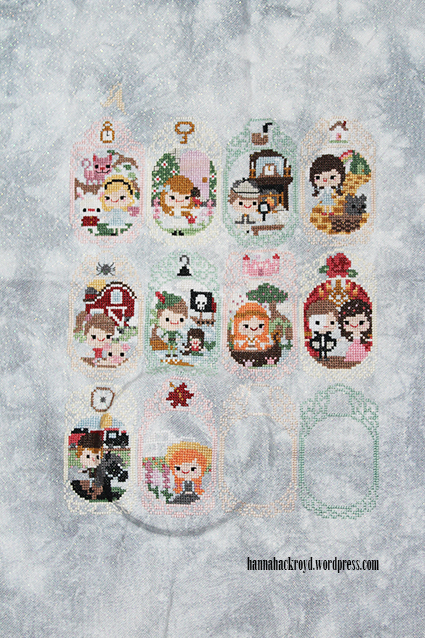 The first project that I finished was my Frosted Pumpkin Stitchery Once Upon A Time Sampler. I’m such a sucker for their wonderful designs and this one is probably my favourite so far! 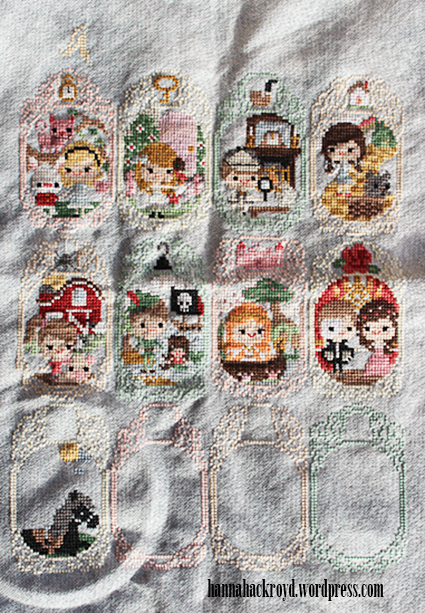 I think the border is stunning and was such a pleasure to stitch, and each month I looked forward to seeing which fairytale would be the next one! 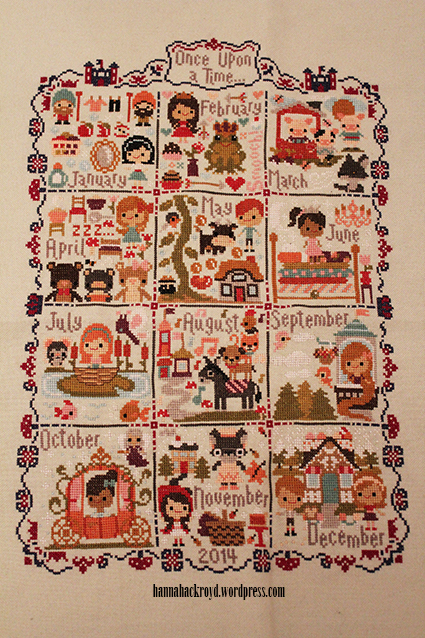 I did have to play catch up a little bit after missing a few months after I moved house, but I did manage to finish the sampler on time by mid-December and I was so pleased! I’m absolutely thrilled with the finished piece! Last week Me and James went to stay with his parents for a few days, which meant a few days away from university work and a few days to focus on crafts. 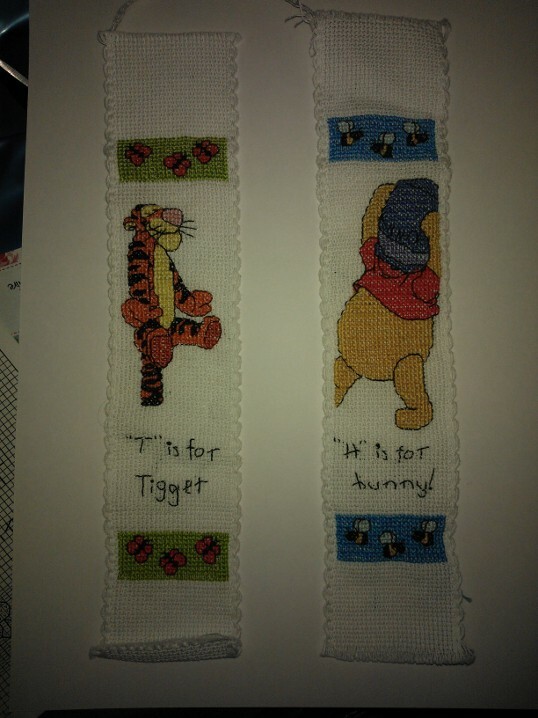 I took the birthday card that I have been stitching with me and made a huge amount of progress! I should have it finished soon but I’m afraid I can’t share it with you until they have received it! This week was the first week of semester two which meant back to university! The Christmas break seems to have lasted forever and, although I am ahead with my reading, my brain has not yet caught up with knuckling down with university work. This week I have found anything possible to do that can distract me from the work I have to do. Surprise, surprise, craft things were the top of my list!